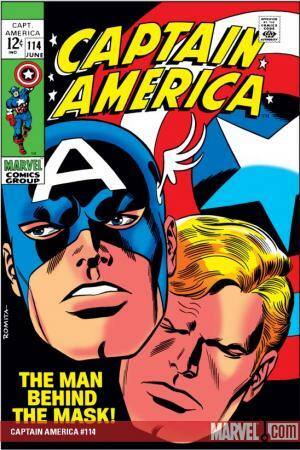 Steve Rogers is dead. 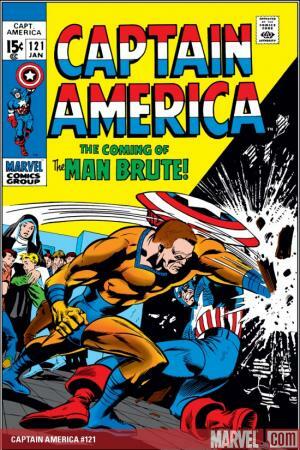 Long live Captain America! 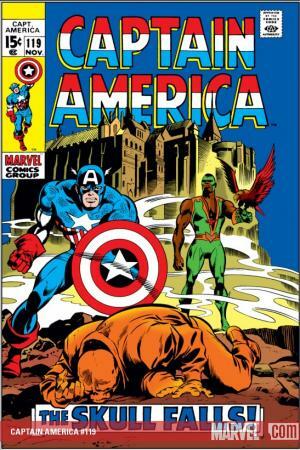 The Sentinel of Liberty returns in another series of Marvel Masterworks adventures by the crème de la crème of the Bullpen's unmatched artists and Stan "The Man" Lee. 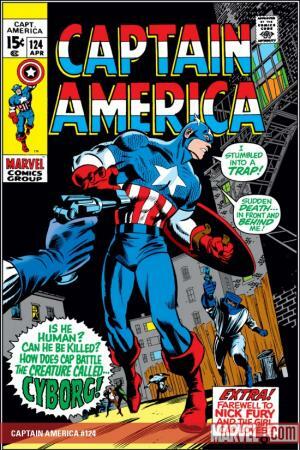 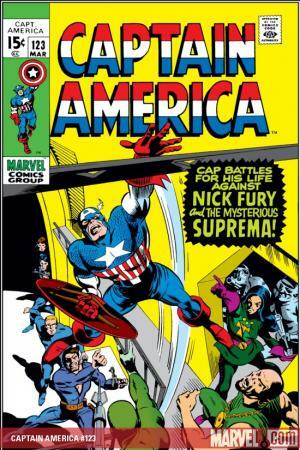 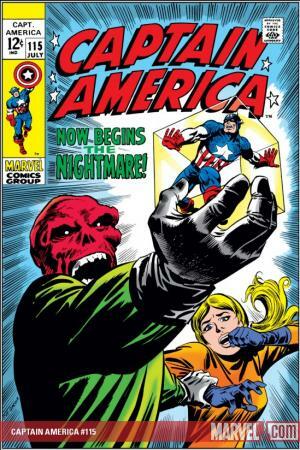 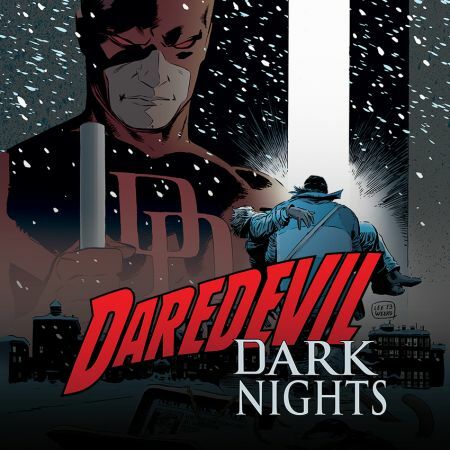 While the world thinks Steve Rogers dead, he continues on in secret as Captain America - but one identity crisis leads to another when the Red Skull returns and uses the power of the Cosmic Cube to switch bodies! 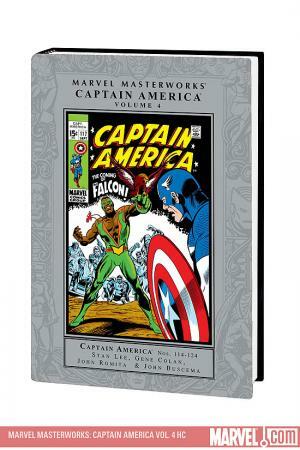 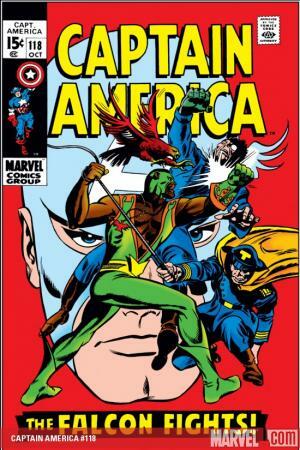 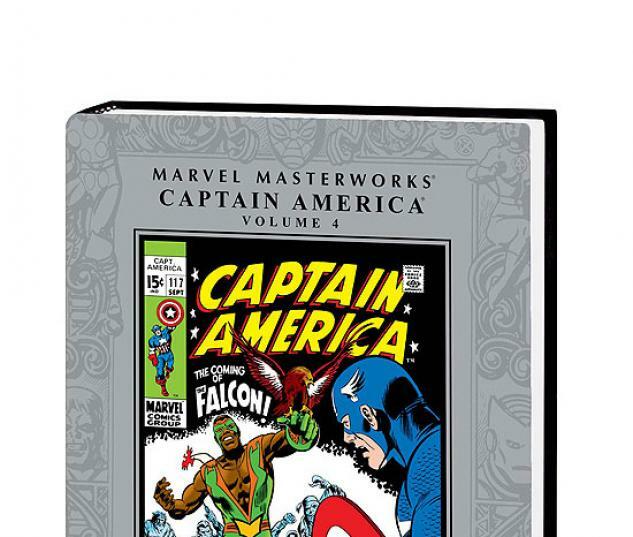 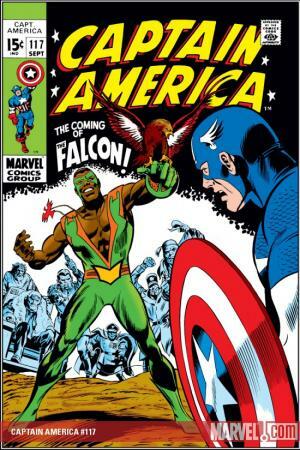 Only with the help Sam Wilson, the Falcon - the world's first African-America super hero - can Cap regain his true identity and defeat his Nazi nemesis? 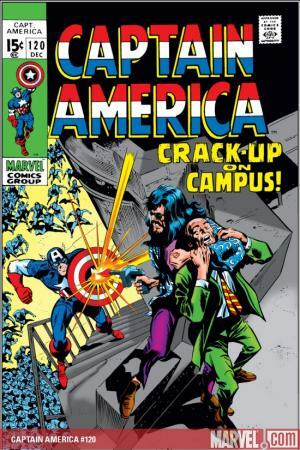 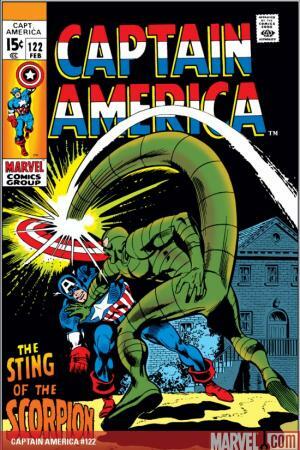 There're also adventures against the Scorpion, Suprema and a classic Cap college campus story from the students' rights era that proves if ain't relevant, it ain't Marvel! 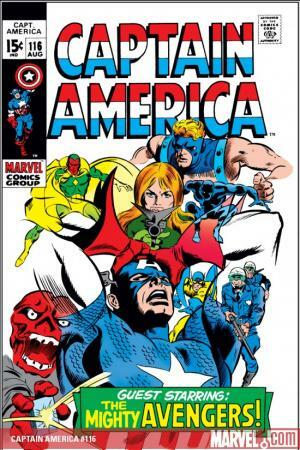 And lest we forget, Cap's beautiful gal, Sharon Carter; guest-appearances by the Avengers, Nick Fury and Rick Jones in the guise of Bucky; and the looming menace of M.O.D.O.K. 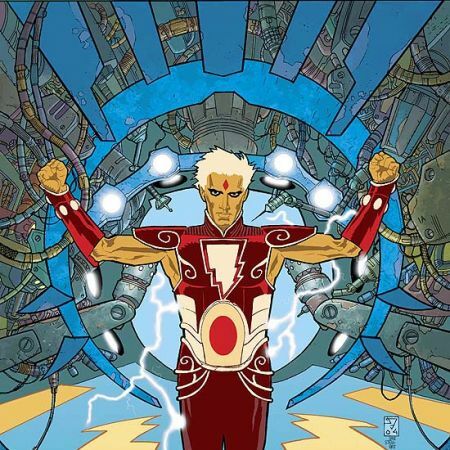 and the men of Advanced Idea Mechanics! 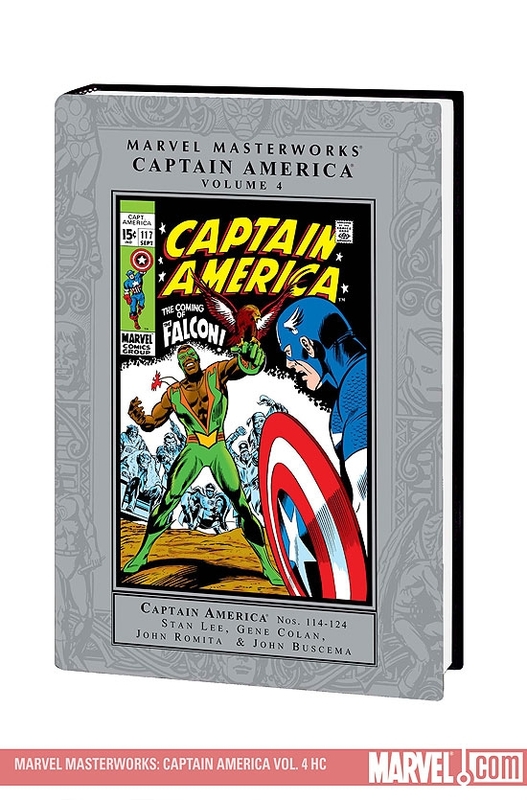 So forget your war bonds and invest in Cap Masterworks, this one's guaranteed greatness!